Cr Haynes is passionate about building community spirit, working with all to build cohesion throughout Manningham. She is passionate about sharing ideas and creating many positive community projects. Her passion is to assist many people to feel connected and come together to help many experience new cultures. She works to build belonging, harmony and understanding. Cr Haynes intentionally chose Manningham to live in more than 25 years ago. 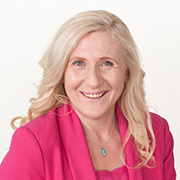 Over many years she has built several successful businesses from car wrecking yards, an overseas Aussie restaurant and aged and disability services to name a few. She’s also a committed volunteer within Manningham to help people get things done. Politics is personal for Cr Haynes. She believes that identity is created by actions: “It is never the wrong time to do the right thing”. Cr Haynes holds steadfast to the principles of open transparent governance and believes that fiscal responsibility with other people’s money, as if it is her own, is also very important. She is passionate about building a respectful Council that the community can rely on to look after our past and present, and to foster a secure safe place in which to live and raise a family. Cr Haynes is also a member of Council’s Senior Citizens Reference Group Committee, Sustainable Design Taskforce Committee, Metropolitan Waste and Resource Recovery Group - Local Government Waste Forum and Whiterhorse Manningham Regional Library Corporation.